You know when you tell your brain not to do something and you end up doing it anyway? Well that is what happened when I made this cake. I said to myself, don't worry about making enough cake, it will be plenty, it just won't look like it. 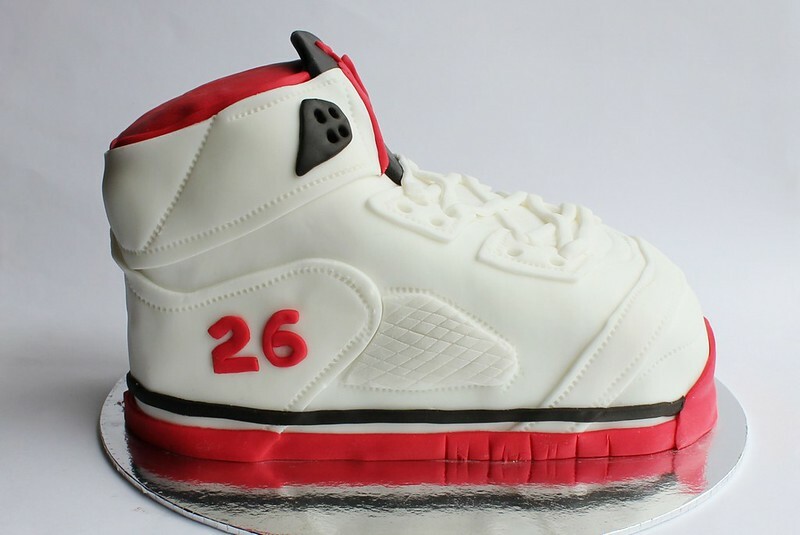 But when it came time to carve the cake down to actual shoe size I just couldn't bare to remove all that cake! This little internal argument resulted in a rather fat cake. 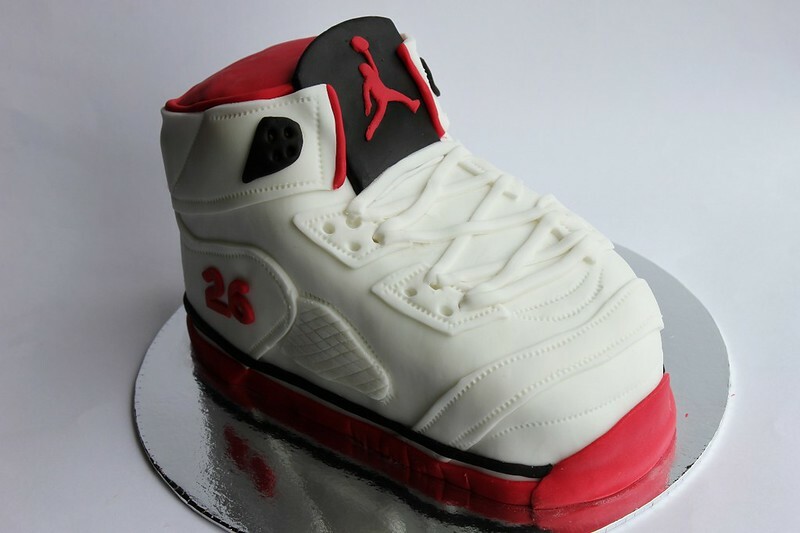 One that didn't have the right proportions of a Air Jordan shoe...or any other shoe for that matter, and proportions is what matters when you're making a 3D shoe cake. 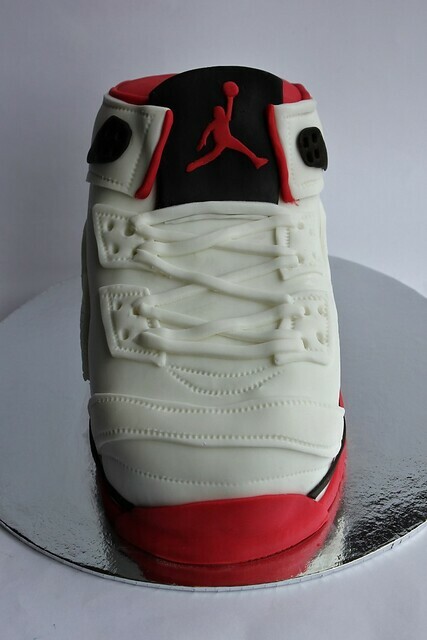 Despite the width of the shoe I was still happy with how this cake turned out. 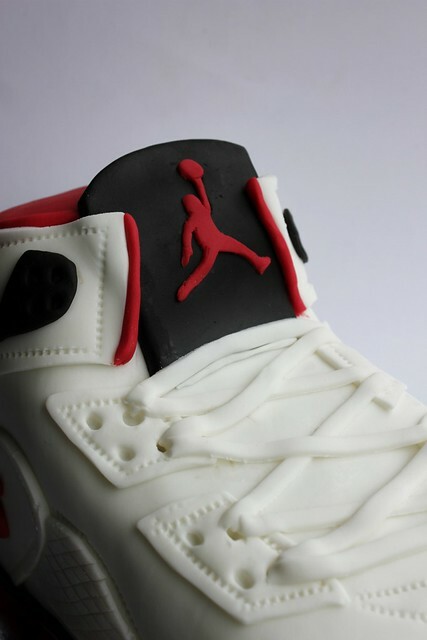 So far this puts my shoe cake total to four! Speaking of shoes and baking I also made some Nike, Adidas and Converse shoe cupcakes, so it's shaping up to be a very shoe-themed week! If you're keen to check out my oldies, here is my Converse Chuck Taylors Shoe Cake, my Nike Kicks Shoe Cake and my Stiletto Shoe Cake. I'm getting quite a shoe collection here!